Madaffari will conclude 40 years of service at McMahon. He entered as a math teacher 37 years ago and will finish up a 23-year tenure as McMahon athletic director. Cross had been a science teacher at McMahon since 1998. He has been the Senators’ baseball coach since 2002. The decision to follow Madaffari as athletic director was not an easy one for Cross. Madaffari, who will remain as FCIAC Commissioner Dave Schulz’s right hand man as FCIAC assistant commissioner, was honored by the National High School Athletic Coaches Association as National Athletic Director of the Year last June. “I knew for a while that Joe was retiring. My first instinct was I thought I’d be interested in the job,” Cross said. “Then I reached a point where I thought the time committment would be difficult since I have three daughters at home. I wasn’t sure if the opportunity was for me. 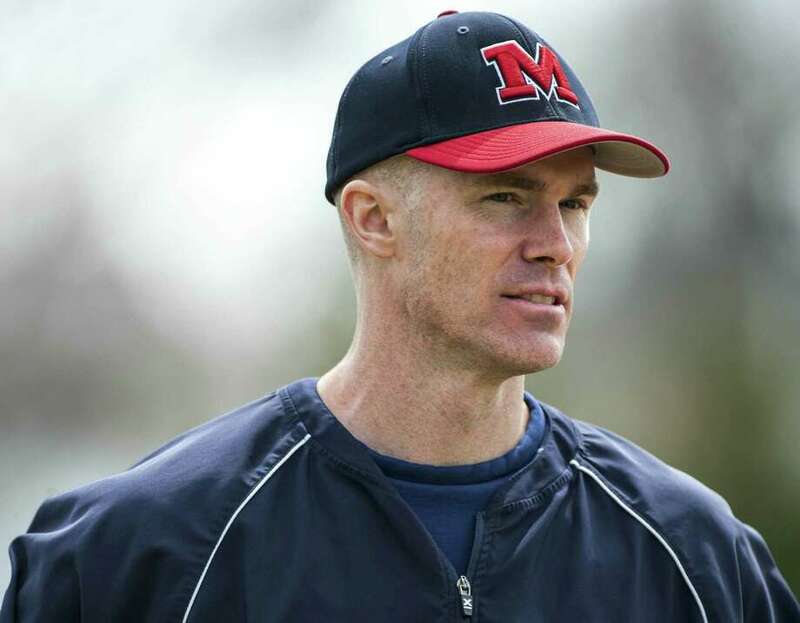 Cross, who has served as the head of FCIAC baseball for the past 15 years, understands how special the spirit of McMahon High School is. “When I was a student, (boys basketball, soccer coach) Ralph King, (wrestling, football coach) Jack Casagrande and (girls basketball coach) Mary Kehoe were my gym teachers,” Cross said. “We have fields and gymnasiums named here in their honor. They are legends. And the resumes that Ed Faulkner (girls basketball), Joe Santa Lucia (wrestling), Rob Trifone (football) and Mike Epstein (lacrosse) built while coaching here are special. The improvements to the football/lacrosse field along with the additional artificial turf practice fields and the artificial turf baseball diamond have allowed McMahon to keep pace in the ever-improving FCIAC Conference. He is excited for the challenge. But Cross knows that Madaffari’s accomplishments will leave big shoes to fill. And Cross will adjust his mindset to impart a message of success.